In some circumstances, whilst an accident may have been caused by the negligence of one or more people, the injured person themselves may also be partially to blame for the accident and their injuries. This may include failing to wear a seatbelt or helmet, meaning that the injuries sustained are more severe than they would have been. 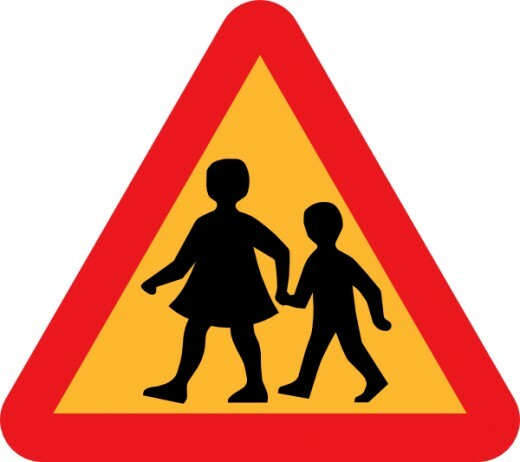 It may also include situations such as choosing to cross a road in a risky position, such as running across a road or crossing very near to a corner. This partial responsibility is called ‘contributory negligence’. Whilst this may mean that the injured person receives less compensation, it does not mean they will be denied all of their compensation. As a solicitor representing individuals who have suffered serious injury, I feel that it is important that injured people are aware that even if they are partially to blame for an accident, they may still be compensated for their injuries. It is vital that injured people investigate, with a specialist solicitor, if their actions were the cause of the accident, or merely a contributing factor. If someone else was at fault for your accident, but so were you, you may still be able to claim compensation. In this blog, I will examine what contributory negligence actual is, how the courts deal with it and provide some of the most common examples of contributory negligence and how this will impact upon a personal injury claim. “where any person suffers damage as the result partly of his own fault and partly of the fault of any other person or persons, a claim shall not be defeated by reason of the fault of the person suffering damage, but the damages recoverable in respect thereof shall be reduced to such extent as the court thinks just and equitable having regard to the Claimant’s share in the responsibility for the damage”. This means that even if you are partially to blame for an accident or the severity of your injuries, you will still be able to bring a claim for compensation, but that your compensation will be reduced according to your share of the blame i.e. if you are 50% to blame for the accident, then your compensation should be reduced by 50%. 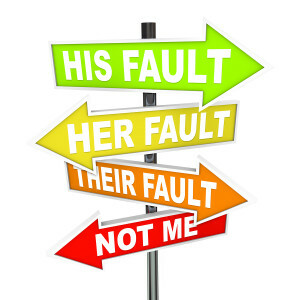 In order for a person to be held to blame for an accident, it must be foreseeable. This means that the individual must be able to foresee that their actions may result in an accident. For example, if you drive too fast, it is foreseeable that you may lose control of the car. In order for the injured person to be held responsible for their part in the accident, they also need to have been able to foresee that their actions would be likely to cause harm to themselves. When considering this element of the test, the courts will look at whether a ‘reasonable prudent person’ would have been able to foresee that such an action or inaction could result in injury to themselves. Such an assessment must take into consideration the carelessness of others. For example, if you fail to wear your seatbelt when driving, it is foreseeable that if you were involved in an accident (even if it was caused by someone else) that your injuries would likely be more severe than if you were restrained by your seatbelt. Similarly, if you have been supplied with a hard hat by your employer, which you fail to wear as required, it is reasonably foreseeable that if something were to fall from height on a construction site, that your injuries would likely be more severe than if you had worn your hard hat. It is worth mentioning here that, if it can be shown that there would be no difference to the injuries sustained, then the compensation will not be reduced. By way of an example, I assisted an individual in his personal injury claim following a very serious road traffic accident. He was travelling in a vehicle as a rear seated passenger, sitting in the middle seat. He failed to wear his lap belt. The driver of the vehicle lost control and the car left the road and collided with a lamppost. Our client was ejected from the vehicle through the front wind screen, suffering significant lacerations to his face and body, a head injury and a serious spinal injuries including a fractured neck. The two passengers who were travelling either side of my client in the rear of the vehicle were killed as a result of the crash. The Defendant in that case suggested that our client’s damages should be reduced due to his failure to wear his seat belt. We successfully argued in that case, with the assistance of expert evidence, that his injuries may have been worse or indeed fatal, had he have been wearing his seatbelt. What is foreseeable will depend upon the position and experience of the injured person. It is widely accepted that whilst children can be held to be contributorily negligent, that this will depend upon their age. Children have a lower understanding of risk and of the consequences of their actions and so it would be unfair to hold a very young child responsible for their actions to the same degree as an adult. Generally, whether or not a child will be held to be contributorily negligent will be looked at objectively. Would a reasonable 12 year old child, for example, have recognised the risks of their actions? If the answer is no, then there will be no reduction for contributory negligence. The particular characteristics of the child will also be taken into account when assessing their share of the responsibility, such as their level of intelligence and their upbringing. In many cases, the apportionment for contributory negligence will be agreed between the parties. Where the parties cannot agree, the case will proceed to trial and the judge will be asked to decide the share of responsibility. Whilst contributory negligence is very fact specific and will depend upon the different facts of the case, I consider that it would be worthwhile to set out some of the usual apportionments as general guidance. Where wearing a seatbelt would have avoided the injury completely, the injured person will usually lose around 25% of their damages. Where wearing a seatbelt would have made a considerable difference to the injuries sustained, the injured person will usually lose around 15% of their damages. Where wearing a seatbelt would have made little or no difference, the injured person is unlikely to have their damages reduced. The above figures will depend upon the circumstances of the individual accident. When riding a motorcycle, there have been a number of cases where the issue of wearing a helmet has been examined. The courts will once again look at what difference a helmet would have made to the injuries sustained. The difference here is that motor cyclists will often suffer a number of other injuries. Further, the helmet will not always save the person from serious injury, due to the nature of a motorcycle accident. The reduction in damages in this instance usually falls within 10-15%; however this will depend upon the facts of the case. The impact of wearing a helmet when riding a bicycle is one that often causes a lot of controversy. There has been some research carried out which suggests that a helmet makes little difference to the injuries sustained, unless the accident occurs at a very low speed. However, in my opinion, there is no downside to wearing a helmet and it may help to protect you if you were involved in an accident. In terms of whether or not your compensation would be reduced if you failed to wear a helmet, would depend entirely upon the circumstances of the accident, the injuries sustained and whether or not the helmet would have made a difference. It should not be assumed that your compensation will be reduced, just because you failed to wear your helmet. In instances where you allow yourself to be a passenger in a vehicle, by someone you know is drunk, your compensation may be reduced. This is because you have consented to travel in a vehicle with someone who you know is not fit to drive. It is reasonable to consider that it is more likely that that person will be involved in an accident, as they are over the legal alcohol limit to drive. In such instances, your compensation may be reduced by around 20%. There are numerous cases where an accident has been caused partially due to the negligent actions of a driver, but also because of the actions of a pedestrian. The problem here is that the injuries sustained to a pedestrian are usually much greater. Where a pedestrian has stepped out into the road in front of a vehicle and the driver has had no way of avoiding the accident, there will likely be no claim. Where, however, the driver has been speeding or failing to keep a proper look out, even if the pedestrian has misjudged how long it will take them to get across the road, the driver will likely be held to blame. Depending upon the actions of the pedestrian, the compensation may be reduced by anywhere between 5-50%. In some cases, it could even be more. Sometimes we may take an action, which in hindsight, may have been too risky. It is important that you instruct a specialist solicitor who is able to assess your share of responsibility in the accident properly, to ensure that your compensation is only reduced to the extent that it needs to be. At Bolt Burdon Kemp, our specialist personal injury solicitors have considerable experience of dealing with cases where contributory negligence is involved and have access to high quality experts who can provide evidence to the Court to support your claim. If you or a loved one have suffered an injury as a result of someone else’s negligence, contact us free of charge and in confidence on 020 3813 5492 or at PersonalInjury@boltburdonkemp.co.uk for specialist legal advice. Alternatively, you can complete this form and one of the solicitors in the Personal Injury team will contact you. You can find out more about the Accident Claims Team.